You can use Maveros for many types of niches but it is especially suitable for any local business type websites. 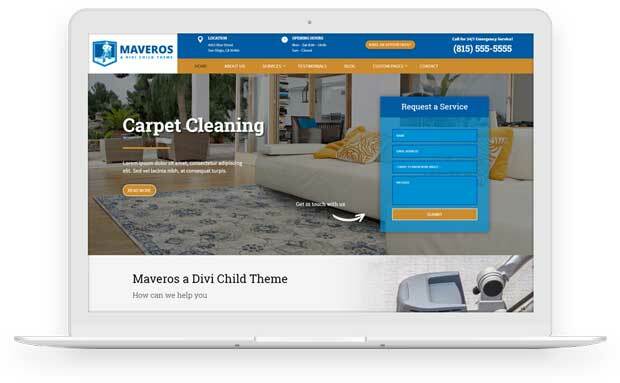 Maveros has some special features that really bring your site to life. Maveros comes with a custom top header section and a contact form in the header. This way your visitors have an easy way to get in touch with you which will increase your conversion rate. 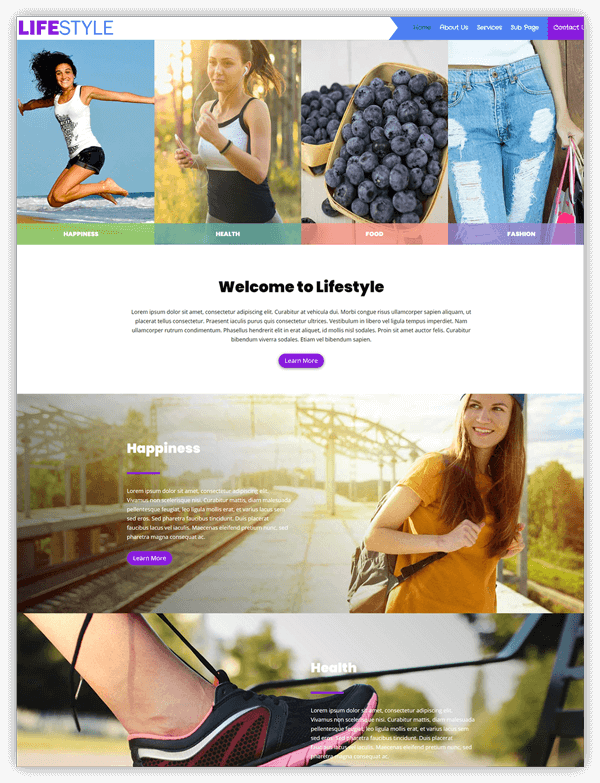 On the home page, you find a beautifully designed image grid with a parallax effect. 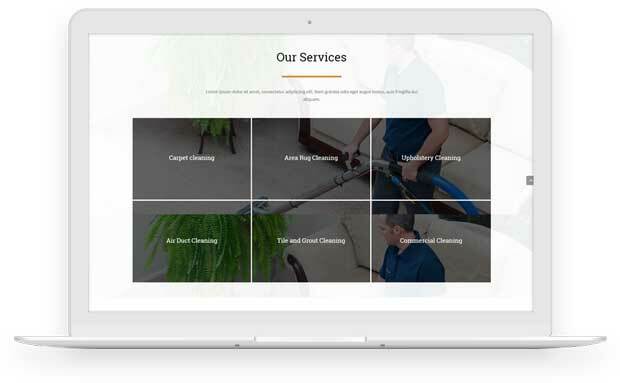 When you hover over a column/service the background image will change, this creates a beautiful effect on your services. Well done! 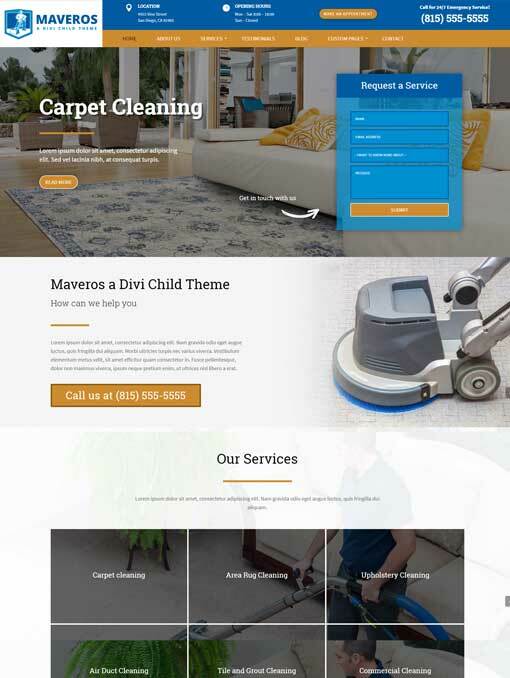 This is the best looking Divi child theme I’ve seen for carpet cleaning, or any home services related business for that matter. Awesome look and feel. Super mobile friendly. It’s really easy to navigate on a cell phone. I’ve done a couple of carpet cleaning sites. I can’t use those as demos after seeing this. You’ve definitely covered everything I’ve seen carpet cleaners doing wrong on their websites. 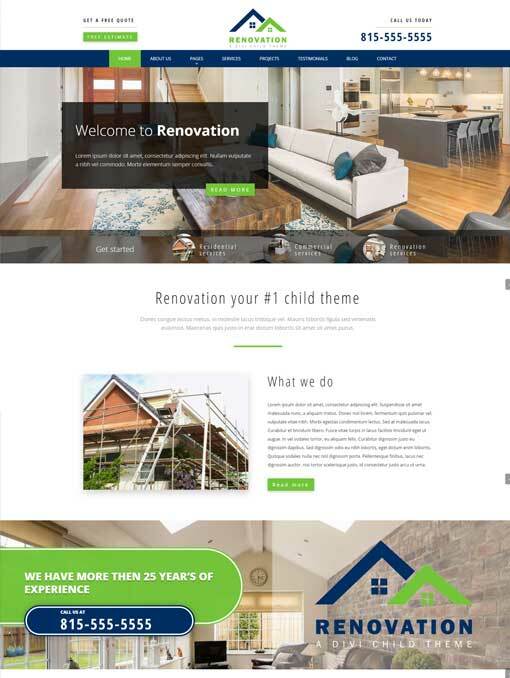 All I need to do now is find a customer that needs a new website. A good knowledge of Divi and basic knowledge of CSS (a little bit of color swapping). 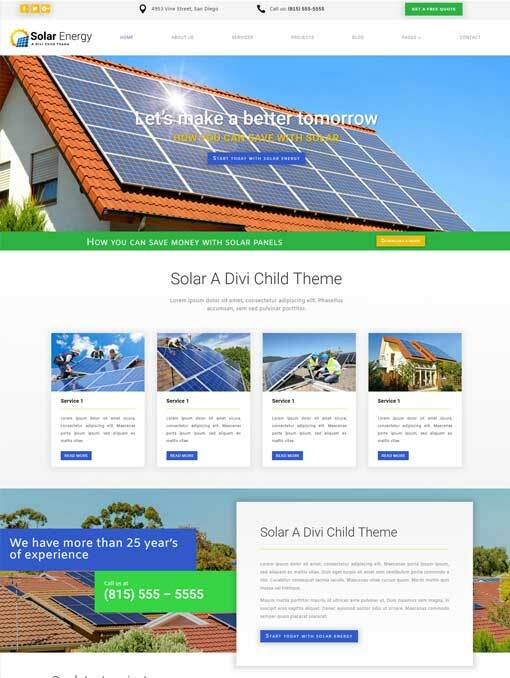 Images that are used in this child theme are replaced due to licensing.